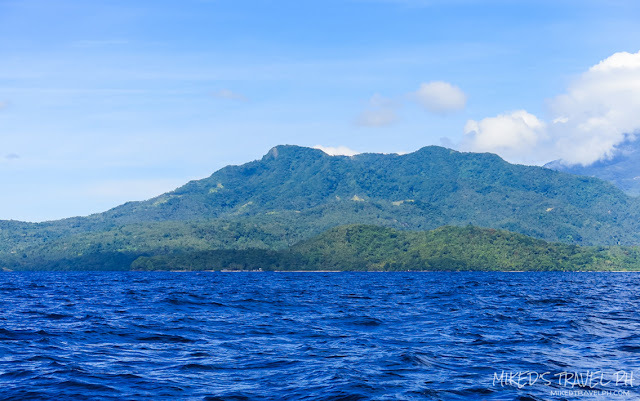 Home camiguin northern mindanao Camuigin: DIY Island Tour! Camiguin is the smallest province in Northen Mindanao and second smallest in the country after Batanes. Since the island province is small, it's very easy to have a do-it-yourself tour on the island. 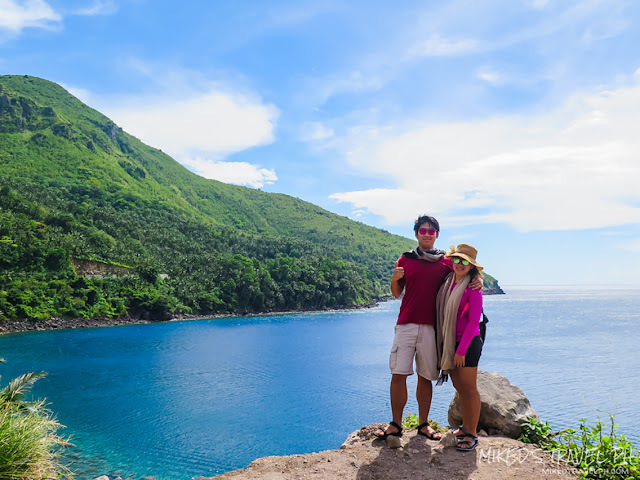 Let me share with you our DIY tour on the island of Camiguin! 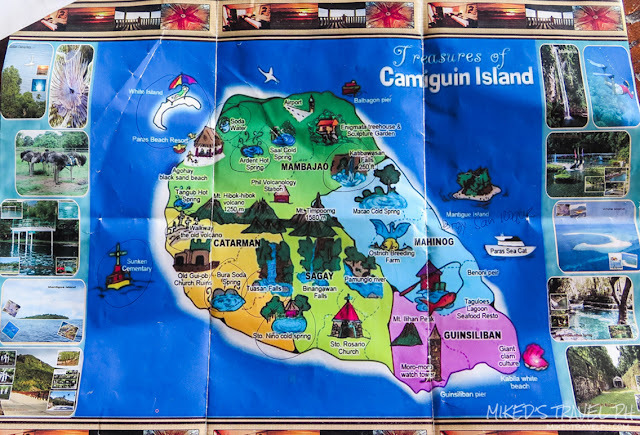 Camiguin has its own airport but only serves flights from Cebu. 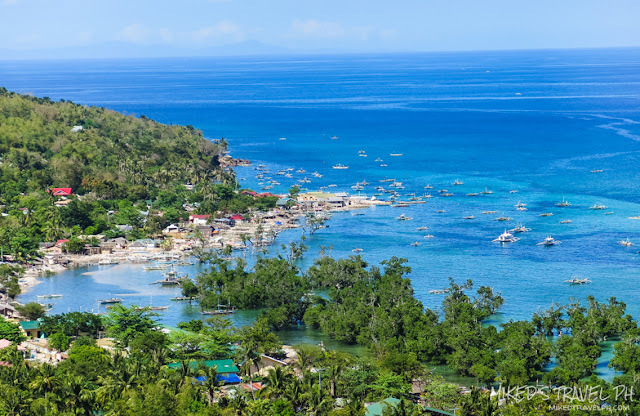 The nearest airport that has a direct flight from Manila and other cities is the Laguindingan Airport in Misamis Oriental. 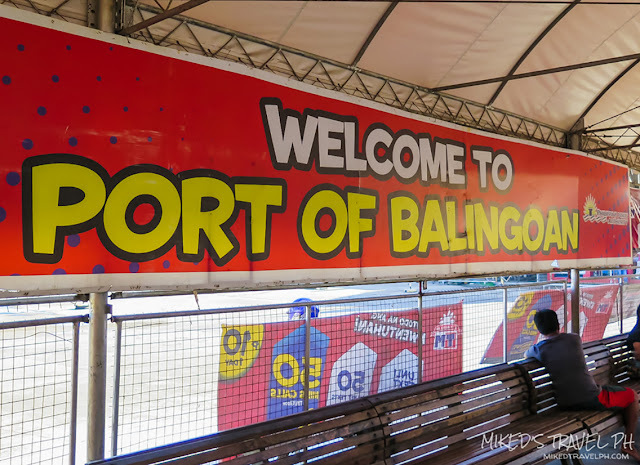 From Laguindingan Airport, ride a bus to Cagayan de Oro City then go to Agora Terminal. At the terminal, ride a bus or van bound for Balingoan Port. Travel time is around 2-3 hours. 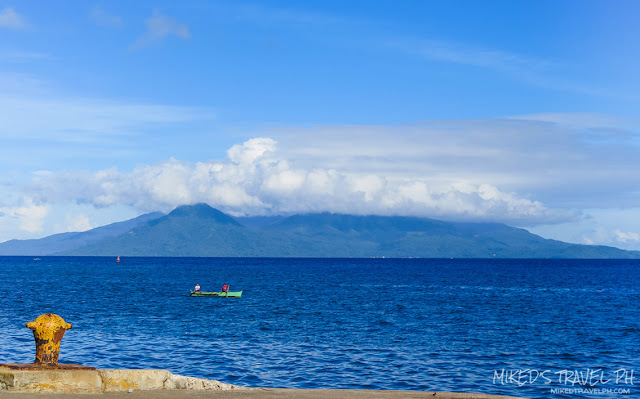 Then ride a ferry in Balingoan Port going to Camiguin. Travel time is around 2 hours. 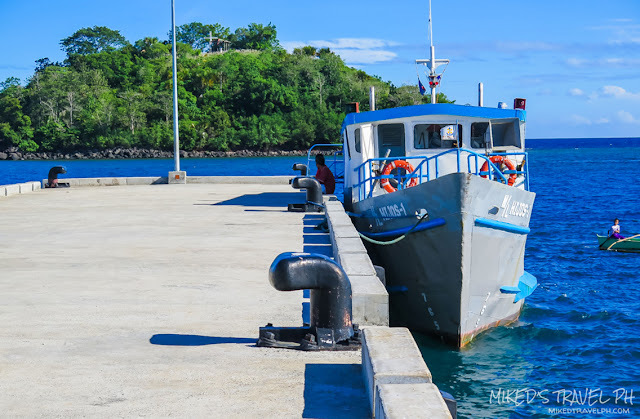 When you arrived at the island, there will be locals waiting at the port offering a multi-cab tour/service or motorcycle rental. Since we are only a group of 5, we opt to rent 2 motorcycles so we can also explore the island on our own. 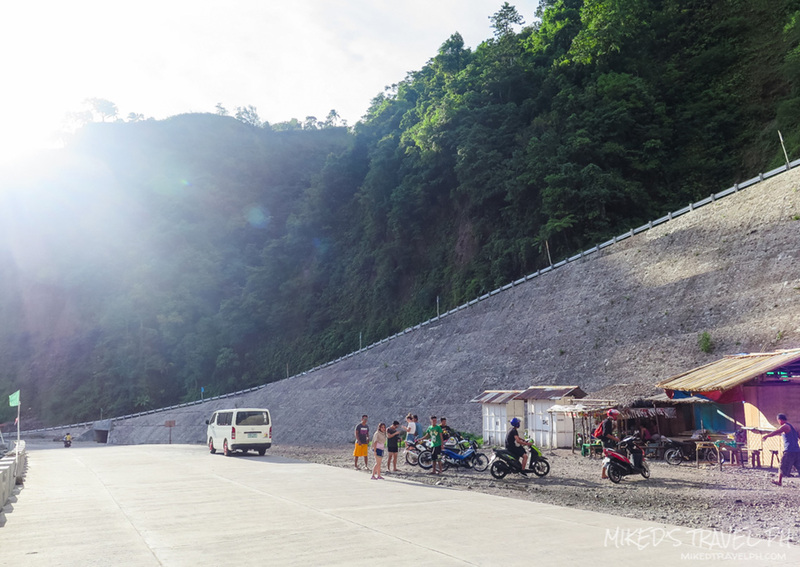 The multi-cab rental costs around PhP 1200.00 (including a driver) for the whole day and is good for a max of 10 persons. 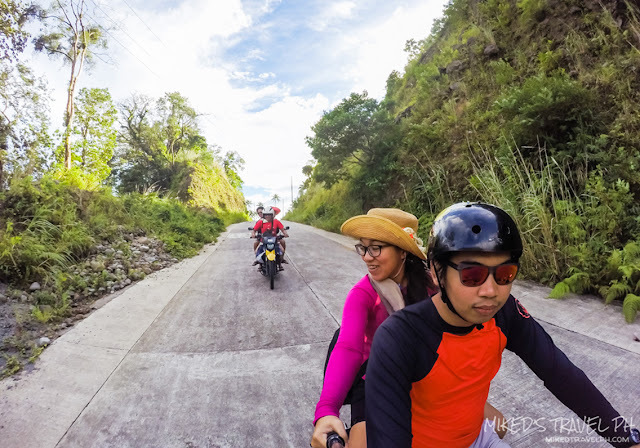 The driver also acts as the tour guide and photographer. 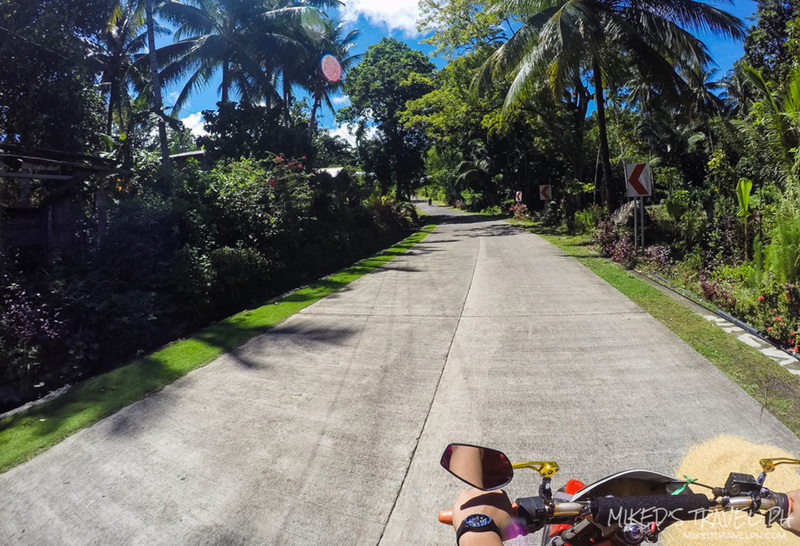 Motorcycle rental cost around PhP 400.00 for half day and PhP 600 for 24 hours without a driver and the fuel. After getting our rental motorcycles, we checked-in first in our accommodation (around PhP 1200+ per night good for 5, not bad) near Paras Beach Resort in Mambajao. 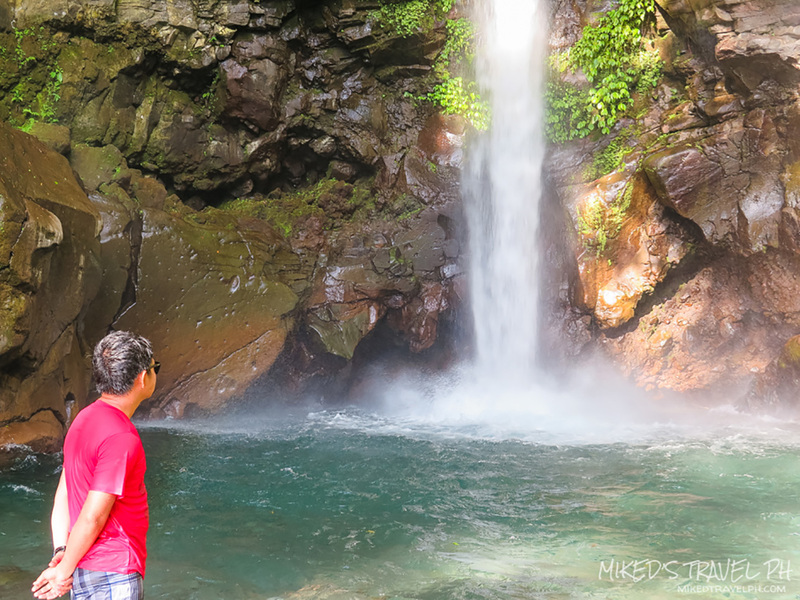 The place was suggested by one of the guys we rented the motorcycle and also accompanied us to get there. We rested a bit and prepare for our island tour! 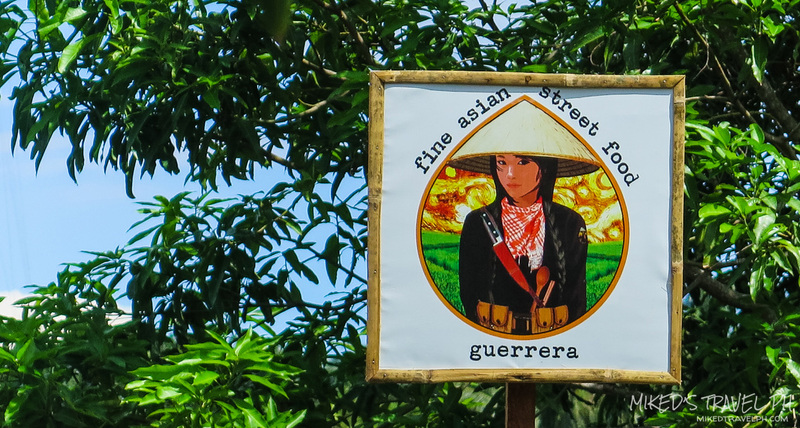 But first, we needed to refuel our motorcycles as well as ourselves so we went to a nearby restaurant that serves Asian cuisine.The food tastes average and nothing really stands out. 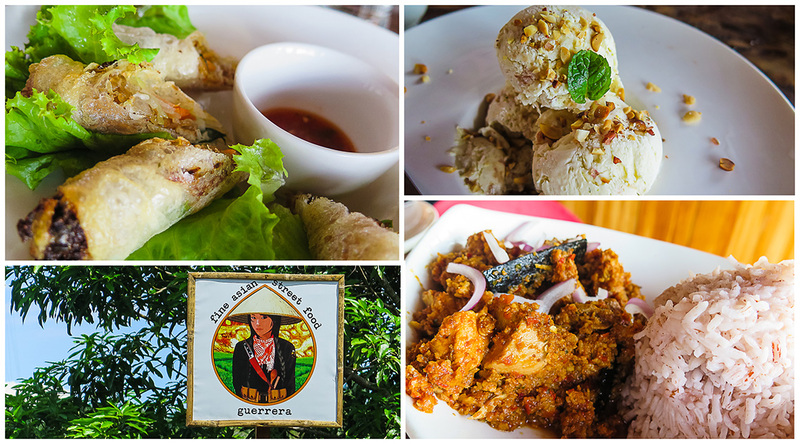 We also tried the Lanzones Ice Cream and got a little disappointed since I can't really taste the Lanzones. Overall, I think it's not worth the price. We were supposed to go to Ardent Hot Spring first since it's the closest to our location, but it's noon time and the weather was really hot so we just saved it for later and decided to go to a cold spring. We then followed directions from google map and left us lost LOL. So we just asked around the locals for directions and finally found the place. 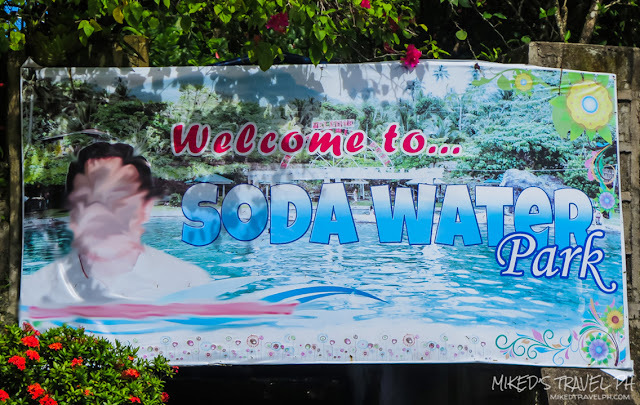 Soda Water Park got its name because of the taste of its water. 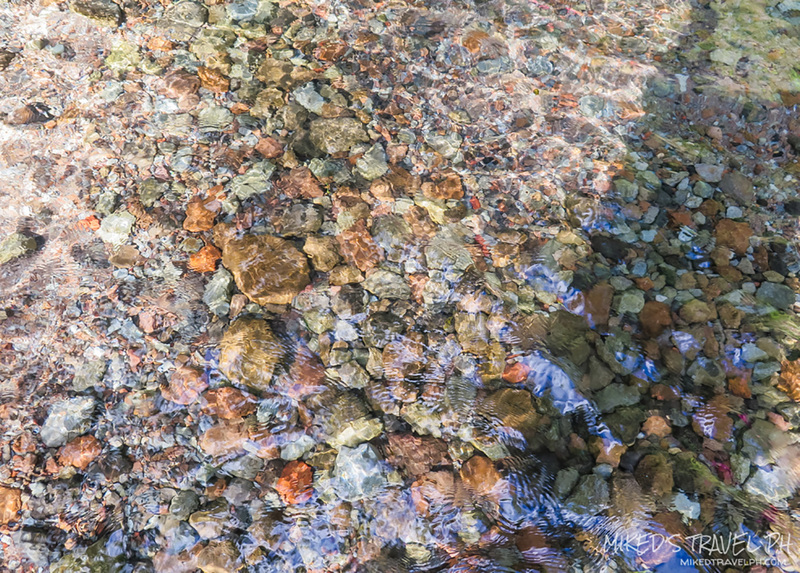 It is said that the taste of a water is a little sweet, like soda. 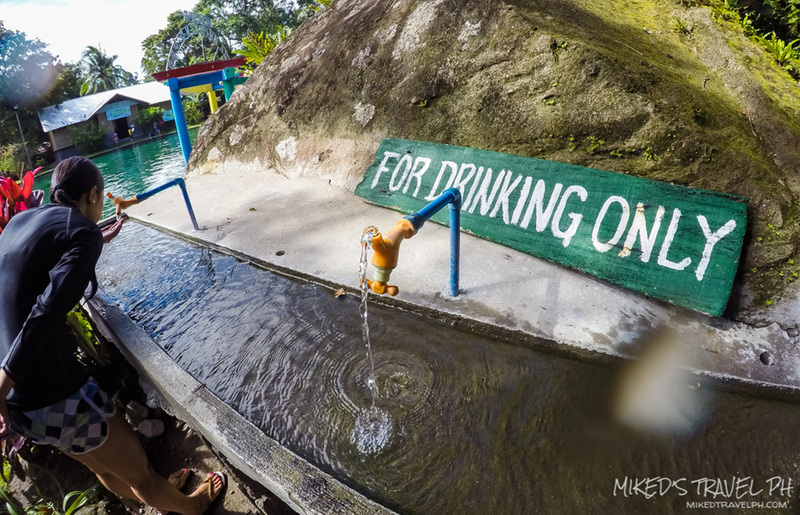 I'm so curious about the taste so when I took a dip, I immediately tasted the water not knowing there's a designated drinking fountain with the same water. So yeah, I drank the pool water. Anyways, I didn't taste any sweetness, but didn't also taste like a normal spring water. 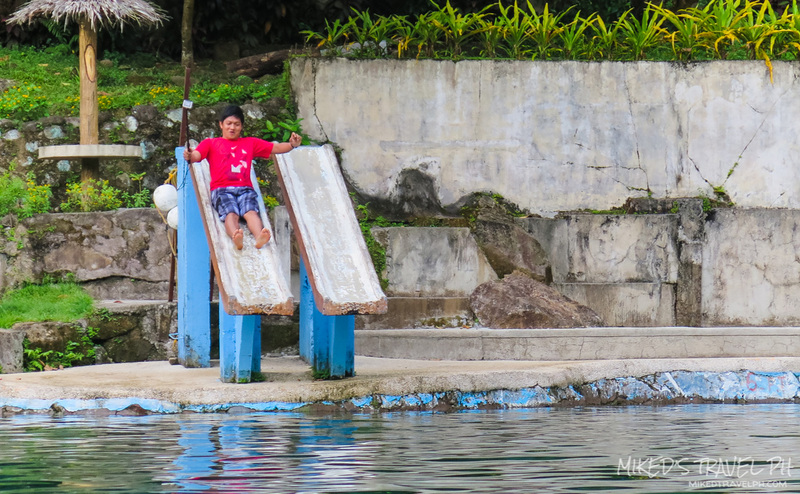 The water park has 2 cold spring pools, a large one which has a max depth of I think 7-feet and a kiddie pool. 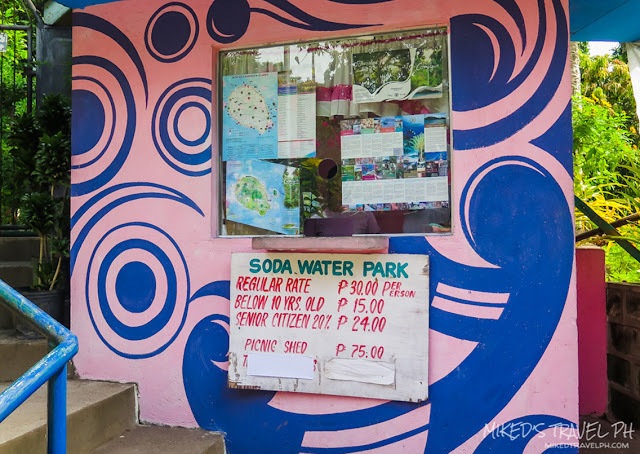 Entrance to Soda Water Park is PhP 30.00 per adult and discounted rates for children and senior citizens. 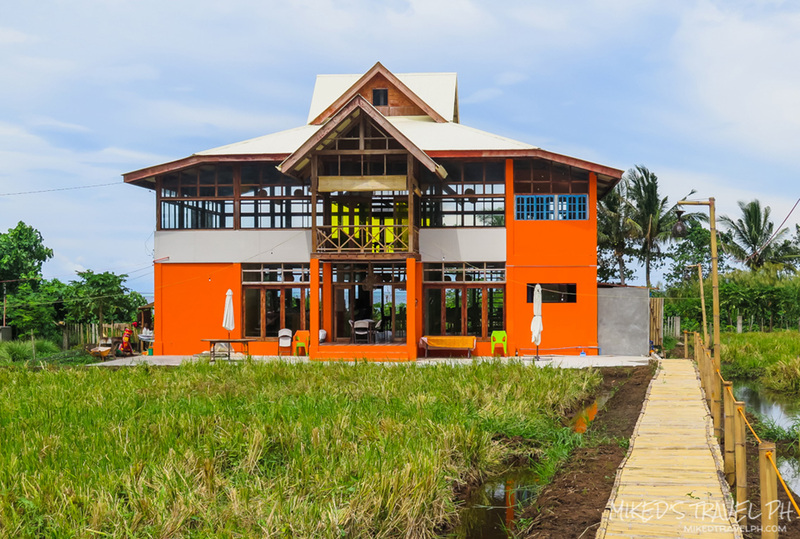 There is also an eatery inside the place and cottages can be rented. 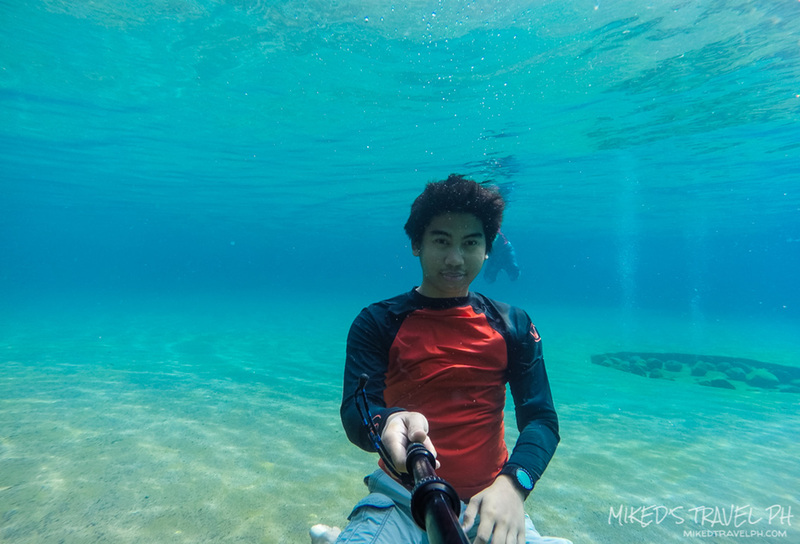 The place was nice, but there's nothing special. If you're curious about the taste of the water, then visit the place. We're supposed to head to the Sunken Cemetery since we saw it along the road. But we missed the entrance along the road so we just go straight to Tuasan Falls in Brgy. Mainit. 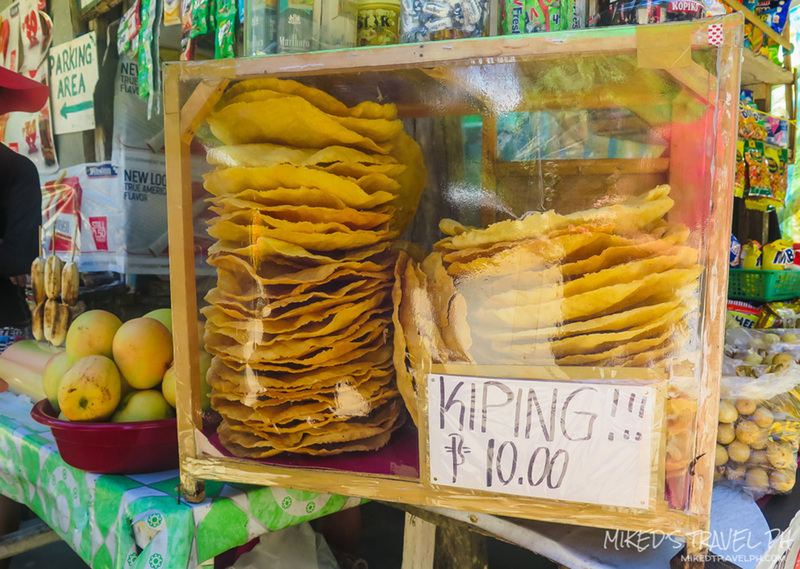 Going here is quite easy since there are signs along the road and locals along the road are very helpful with the directions. There are 3 publicly known waterfalls in Camiguin. 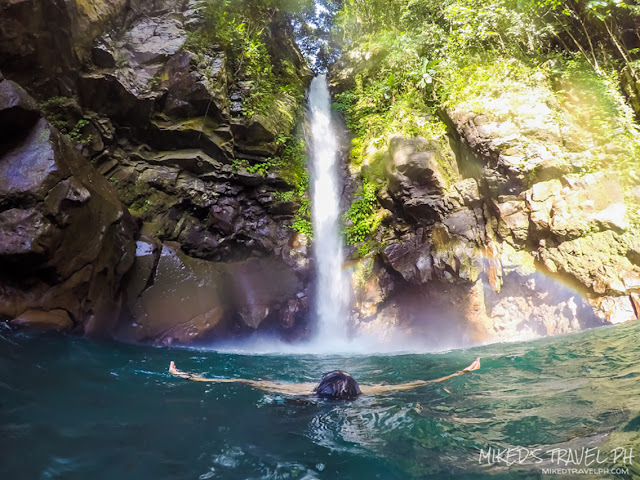 One of these is Tuasan Falls in Catarman. 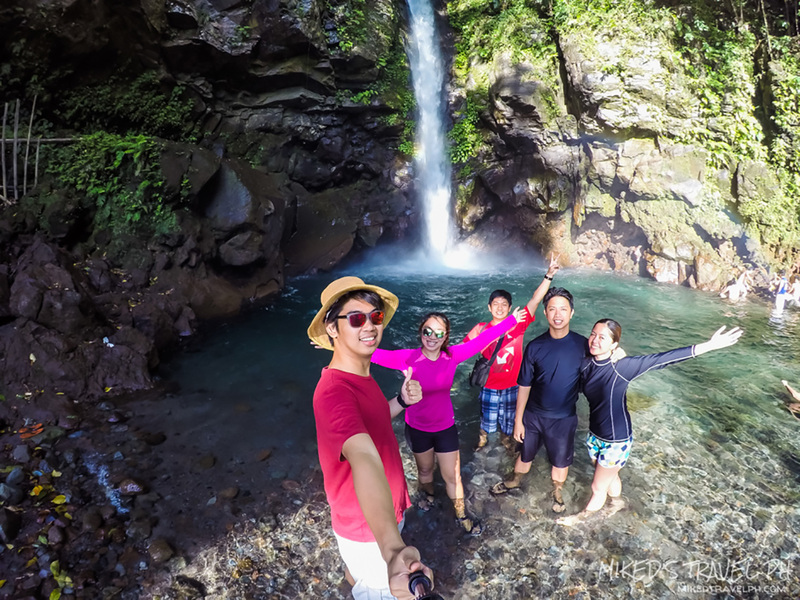 Tuasan Falls is very accessible just a walking distance from the road. 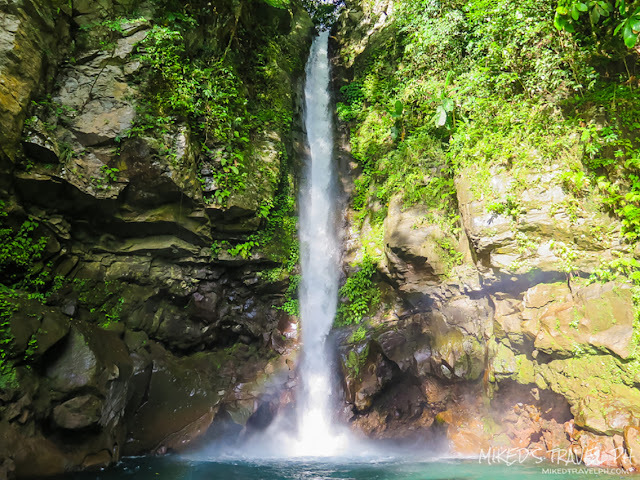 It's also less crowded than Katibawasan Falls in Mambajao. 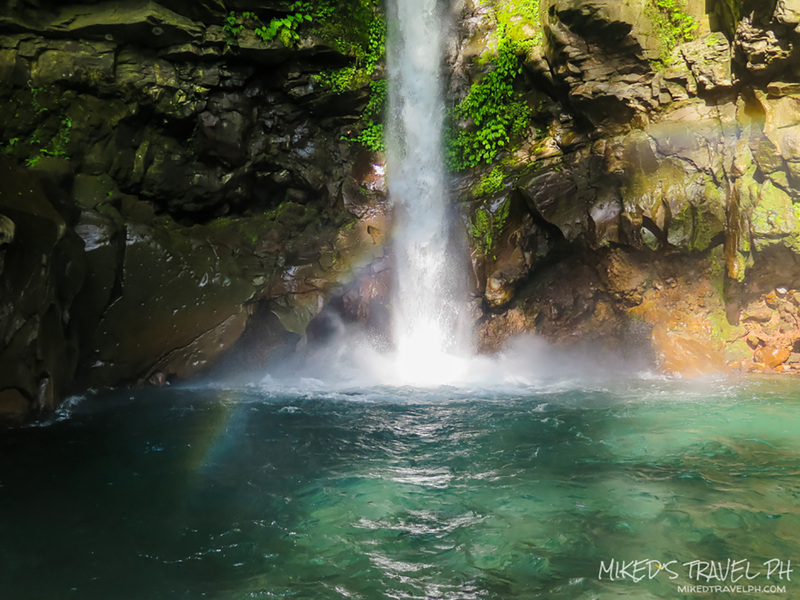 The water impact from the waterfalls is very strong and ice-cold. 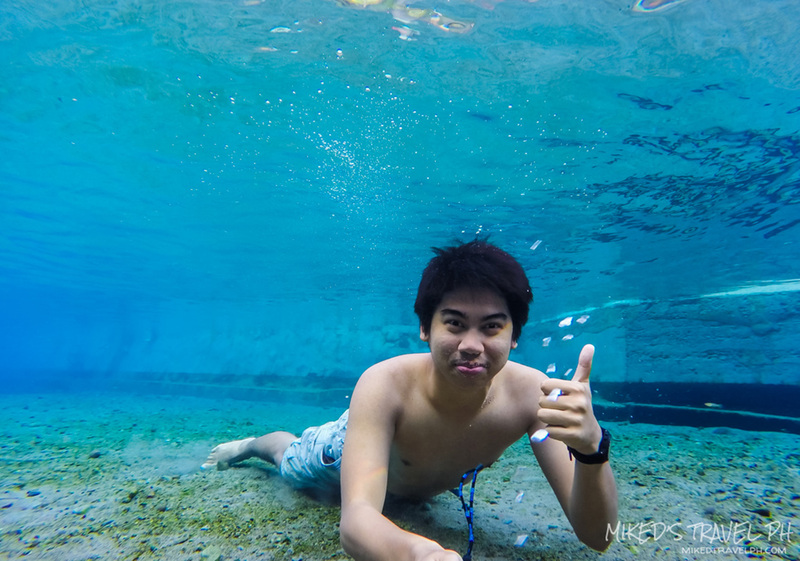 Its pool is not too deep and just good for swimming. The waterfall isn't fully developed (probably a good thing) so there are no entrance fees. 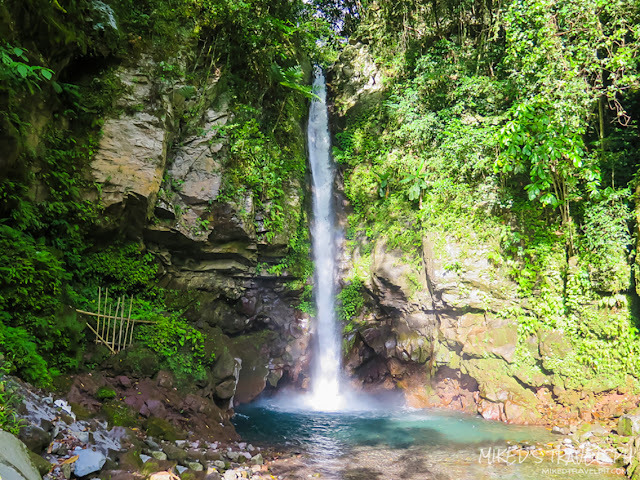 Tuasan Falls is one of the best attractions in Camiguin. 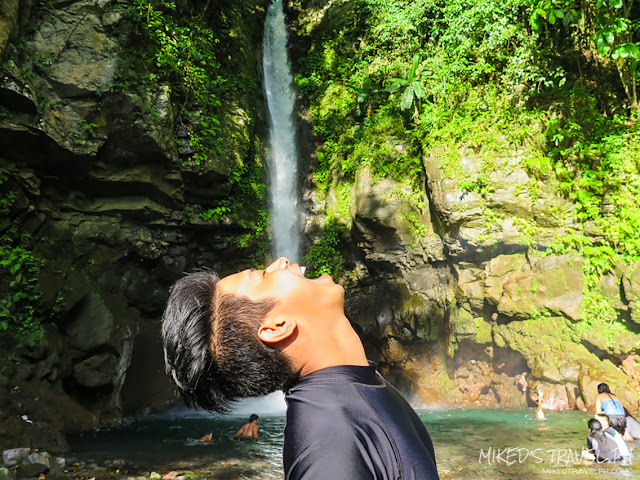 You should definitely take a time to visit this place. I guarantee you its rugged beauty. We went back to our motorcycles and continue on the road. 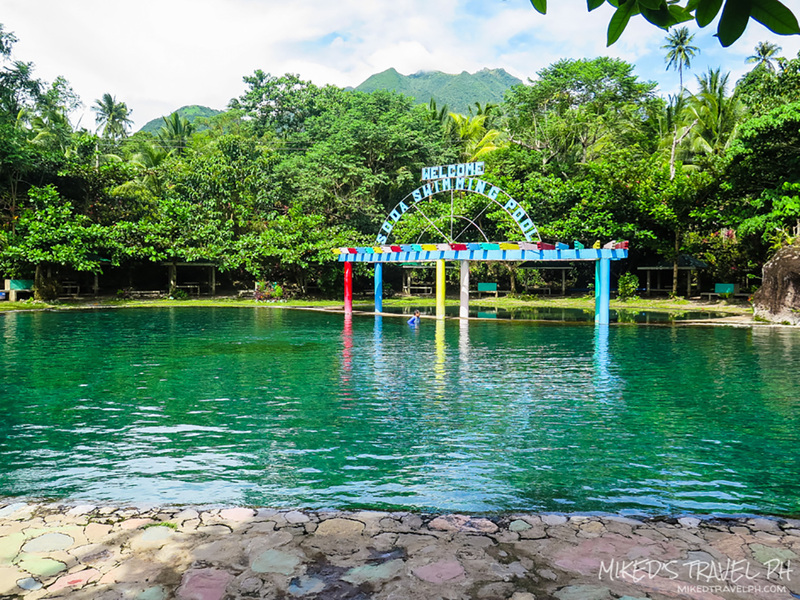 We went to another cold spring in Catarman and compared to Soda Water Park, the water here is really cold. 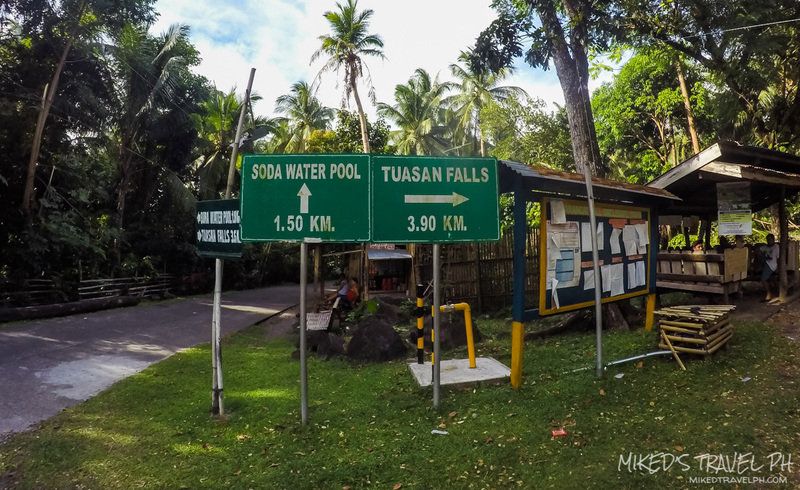 We also didn't have a hard time getting to the place since it's also near Tuasan Waterfalls. At the entrance of Sto Niño Cold Spring is some small stores that sell souvenirs and some snacks. I saw a Kipling. 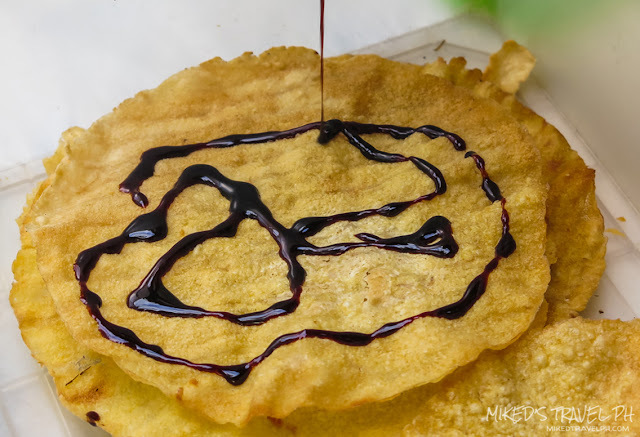 It's a popular delicacy in Camiguin and is like a lumpia-like-wrapper made from cassava that is fried with chocolate syrup on top. I tried one and really liked it. 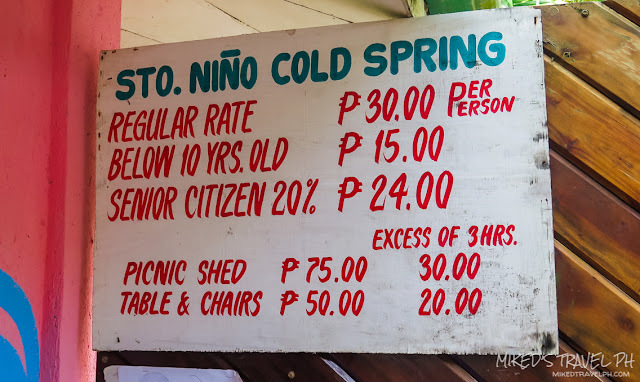 Anyway, we paid the entrance of the cold spring, PhP 30.00 per person, and went inside. 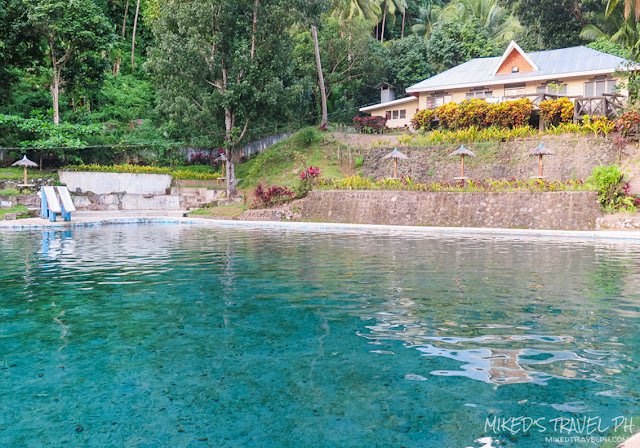 The place is quite big and the pools are huge. 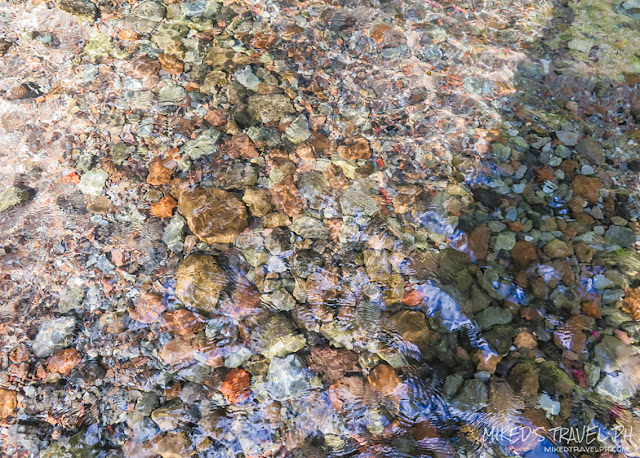 The water is of course very cold, and very clear also. 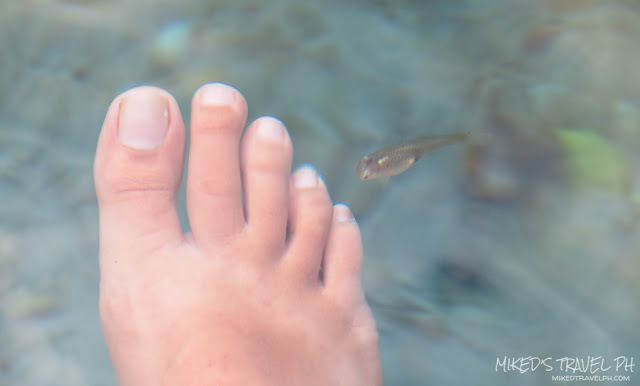 It's so natural, there are small fishes swimming in it. There are cottages you can rent as well as floaters since the pool is around 7-feet deep. 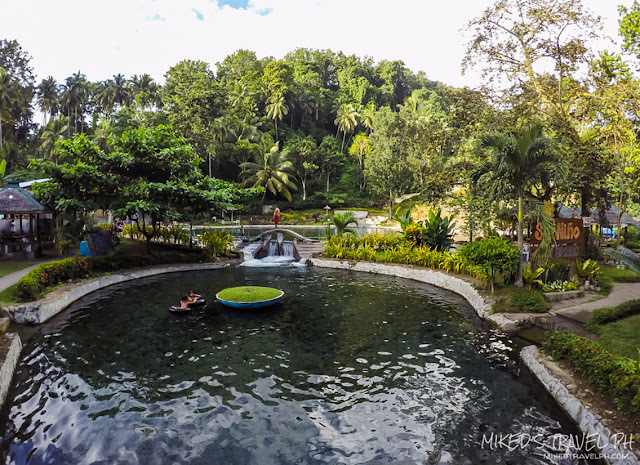 The place is very nice and relaxing, definitely a must-visit to your list. 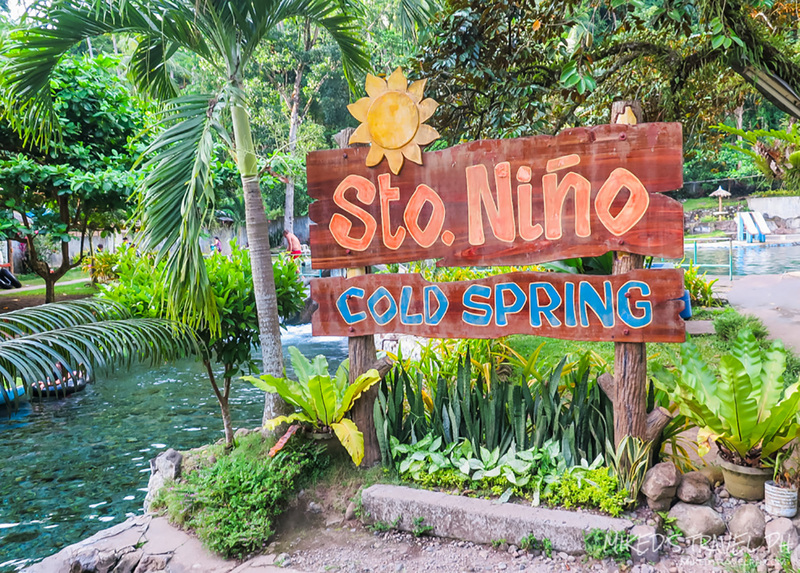 It's getting dark when we left Sto Niño Cold Spring. We are supposed to visit the Sunken Cemetery but again, we missed the way where the entrance is, and it started to rain so we just went back to our inn, wait for the rain to stop and rest for a bit. We wanted to go to Ardent Hot Spring but since we're also tired, we just had dinner at a nearby Italian restaurant. We ordered one of their specialty, uh, forgot the name, but it sure was delicious. Their pasta was also good. 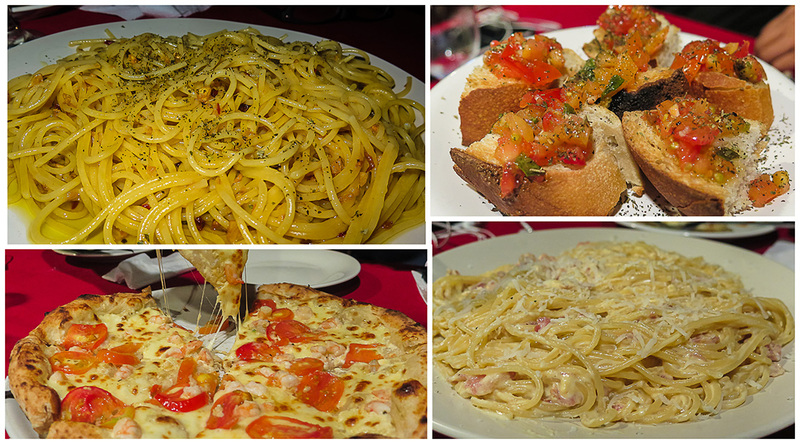 The pizza we ordered is around PhP 400++ and the pasta, which is good for 2-3 person is around PhP 200++. 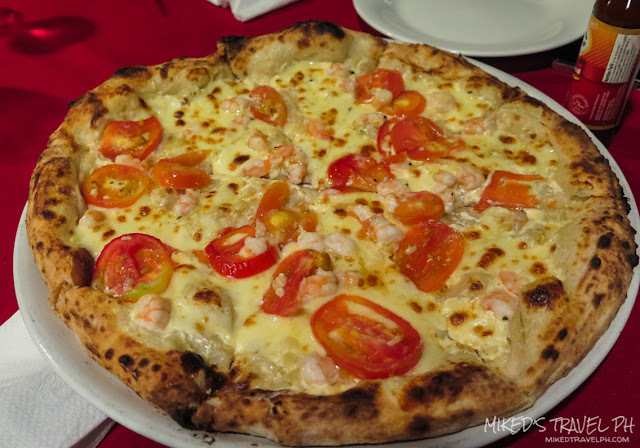 It is a nice restaurant and their pizza is a definitely must try! 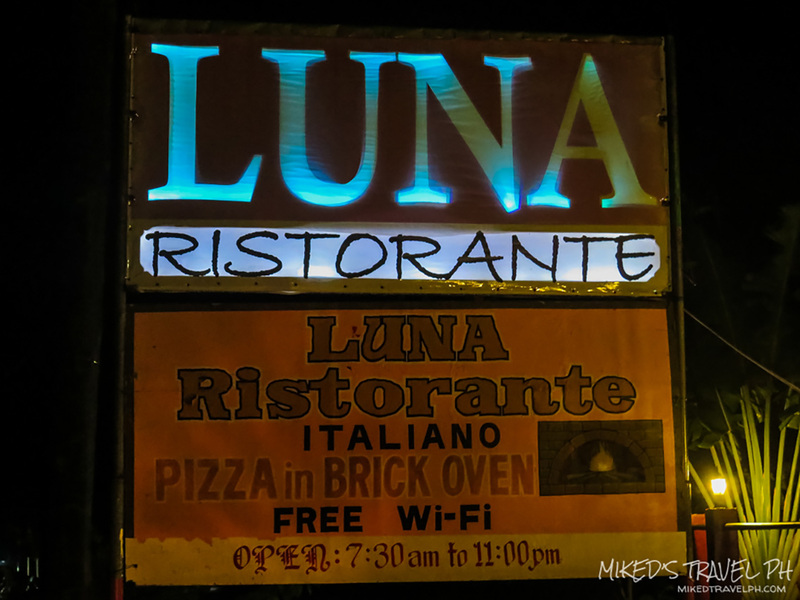 Their specialty pizza, it's really good! That's the first part of our DIY Camiguin Island Tour, click here for the second part! 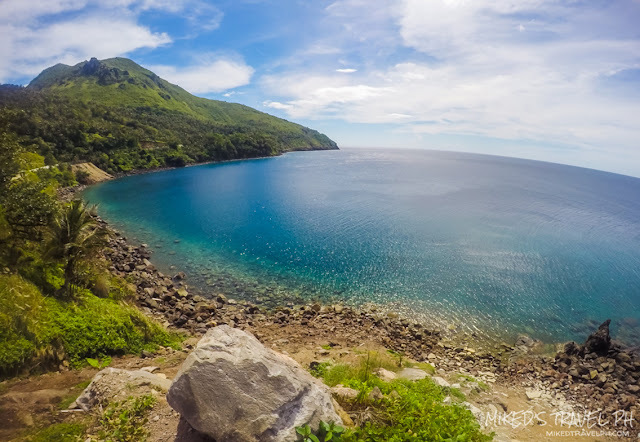 Hi stumbled upon your blog, around what time did you go to Camiguin, the places you went to didn't have that much people. Me and my family went there around 3rd week of May and all the places were jam-packed.